April 29 - Three-time Chicago Marathon and one-time London Marathon winner Liliya Shobukhova of Russia has been handed a two-year ban for doping. The Russian Athletics Federation said the 36-year-old's biological passport showed "abnormal haematological curves". All her results since October 9 2009 have been annulled, with her ban backdated to January 24 2013. It means, pending an appeal, she will be stripped of her 2009, 2010 and 2011 Chicago Marathon victories. She was the first male or female athlete to ever achieve a hat-trick of Chicago wins. Shobukhova would also lose her 2010 London Marathon win, and her second place on the streets of the British capital the following year, as well as the 2009-2010 and 2010-2011 World Marathon Majors (WMM) crown, which won her a total of $1 million (£594,000/€723,000). The WMM is a race series made up of the Tokyo, Boston, Virgin Money London, BMW Berlin, Bank of America Chicago, and TCS New York City Marathons. "WMM will continue to hold a stern line and supports all measures to ensure the integrity of the athletes competing in their races," said Nick Bitel of the WMM General Counsel. "Cheats need to understand that they are not welcome in our sport and that they will be caught." 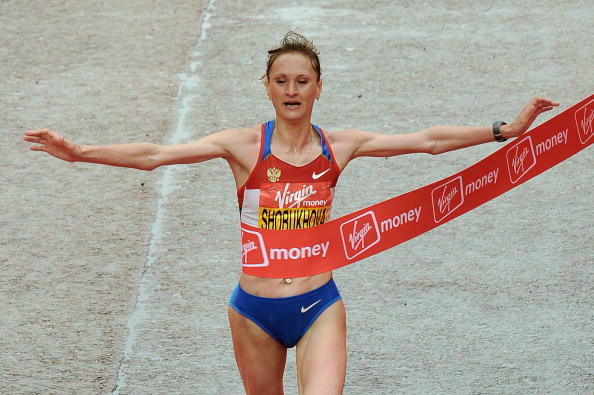 London Marathon organisers have confirmed Shobukhova will have to repay her prize money, pending an appeal. In the 2010 London Marathon, Shobukhova finished ahead of Ethiopians Aselefech Mergia, Bezunesh Bekele and Askale Tafa. In 2011 she came second, ahead of Kenyan Edna Kiplagat and Bekele. In the 2009 Chicago Marathon, she finished ahead of German Irina Mikitenko, Lidiya Grigoryeva of Russia and Teyba Erkesso of Ethiopia. In 2010 she won ahead of Ethiopia's Astede Baysa, Russia's Maria Konovalova and America's Desiree Davila. And in 2011 she finished ahead of Ejegayehu Dibaba of Ethiopia, Kayoko Fukushi of Japan and Belainesh Zemedkun Gebre of Ethiopia. Before entering marathons, the athlete specialised in 3,000 and 5,000 metres running. The highlight of her track career came in 2006, when she won the 3,000m World Indoor Championships crown in Moscow, and the 5,000m European Champions title in Gothenburg. 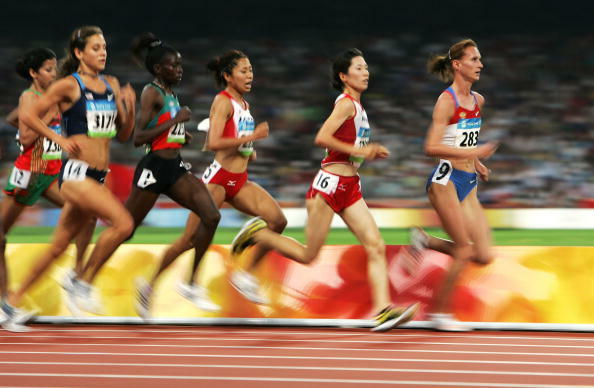 She came sixth in the 5,000m at the Beijing 2008 Olympics and failed to finish the marathon at London 2012.